I used a light gray cardstock for the base and then layered a heart die with foam tape. 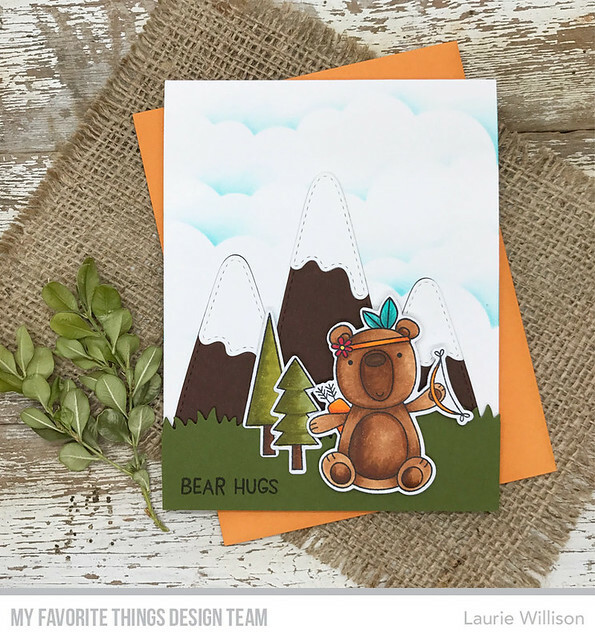 I stamped and fussy cut the bears and added them to the card with more foam tape for dimension. Next, I added in the sentiment on a banner die. The last detail I added was the red heart image from the set. Easy peasy! 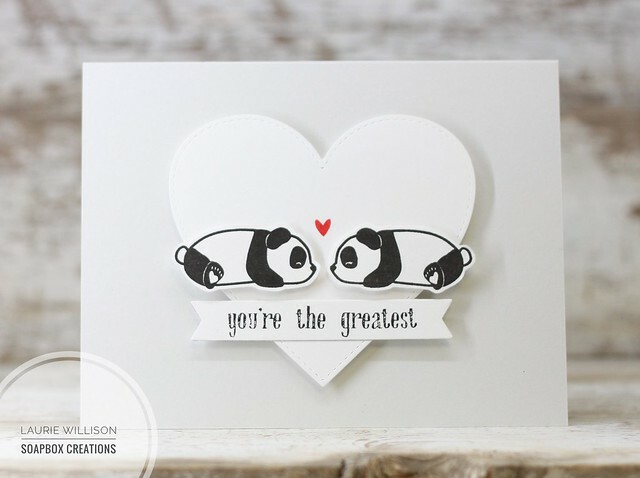 This set, Panda Can't Even, includes 7 of the most adorable panda images, along with sentiments in a gorgeous font, so the possibilities are endless. I hope you have enjoyed my card today. I will stop back in soon. Have a great day! First, I cut the background panel in white. Next, I took the grass die and cut it out and then used that same diagonal panel to cut the bottom edge of the grass, so it fits along the bottom edge of the white panel perfectly. 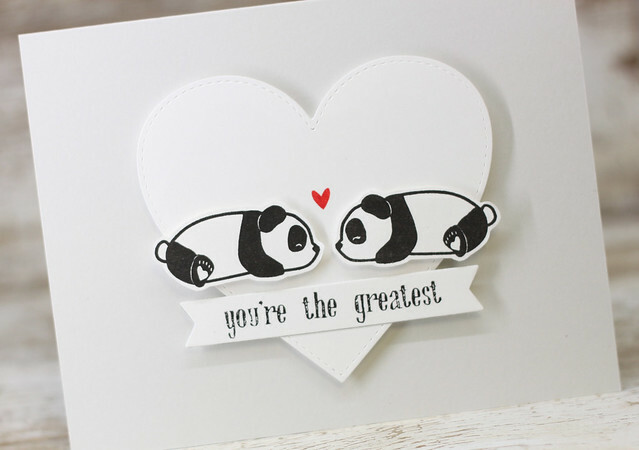 I added the sentiment along the bottom and the popped up the panda on foam tape. The panda, sentient and bambo trees are all from the set Happy Panda and their coordinating dies. And really? Thats it! So quick and simple! 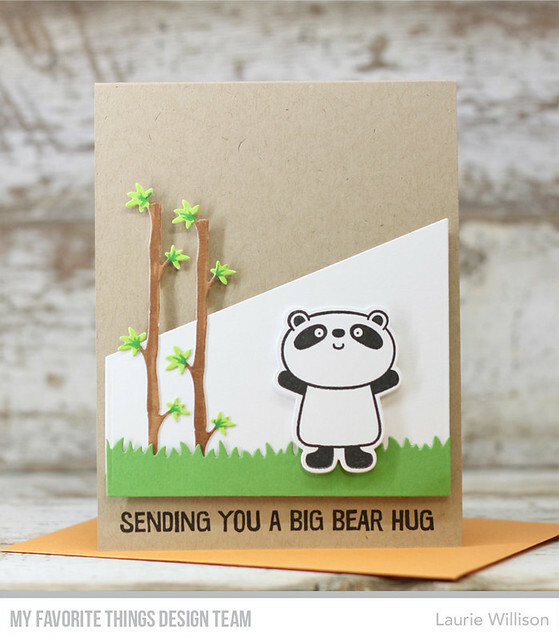 There will lots more Blueprints creations over at the MFT blog. Stop over there and check it out! So glad you stopped in today! Hey there! I have 2 cards here today, with one design....and of course, clean and simple all using elements from Queen and Company! Both cards use all the elements from the June Kit...Pretty Presents. This first card, I created a shaker box, using a white gift on a white background, so those toppings inside the box would pop! I layered them onto the card base with a piece of green pattered paper from the pack included in the kit. This next card also uses the patterned paper from the kit with the white on white theme, but this time, I used the shaker box foam and dies, just to create a 3D gift. I love how easy it is to create a shaker box with this kit, but it also works for different looks. I added the black cut outs down inside the box for a fun little detail. Hope you are enjoying your Pretty Presents kit. If you don't have one, now is a great time to shop! Thanks so much for stopping by! 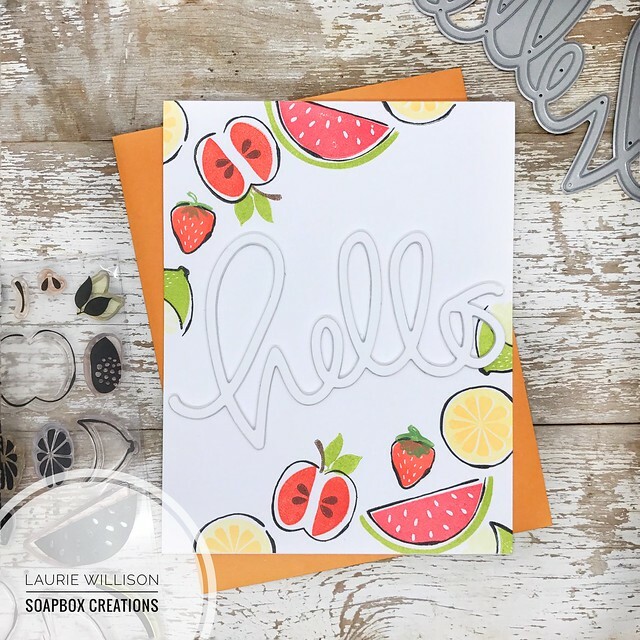 I stamped the fruits randomly around the edge and then added in the big hello die in the middle. Super fun and easy! Head on over and grab some of the new release by clicking HERE to shop! It's time! The MFT June Card Kit is available over at the MFT store! You guys....this is a fun one!! I have one card left to share. This one uses 2 elements from the kit...the sentiment and the heart "flames". 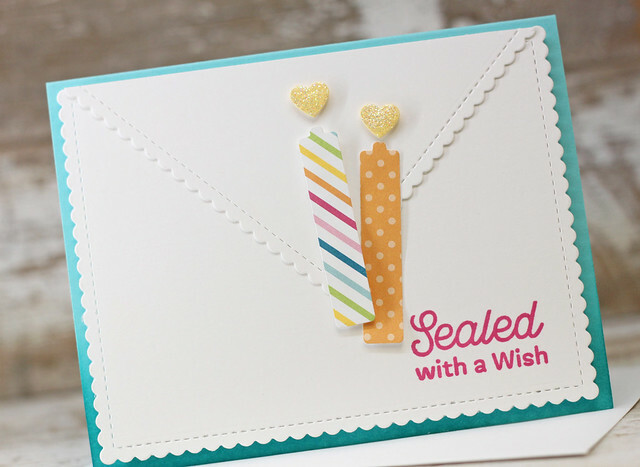 I took the scalloped card front die from Blueprints 27 and the created a scalloped envelope for the card front. I attached that to a ombre, ink blended card base. Next, I took candles from the Make a Wish set and cut them out using patterned paper. I popped one of them up on foam tape for a dimensional look. 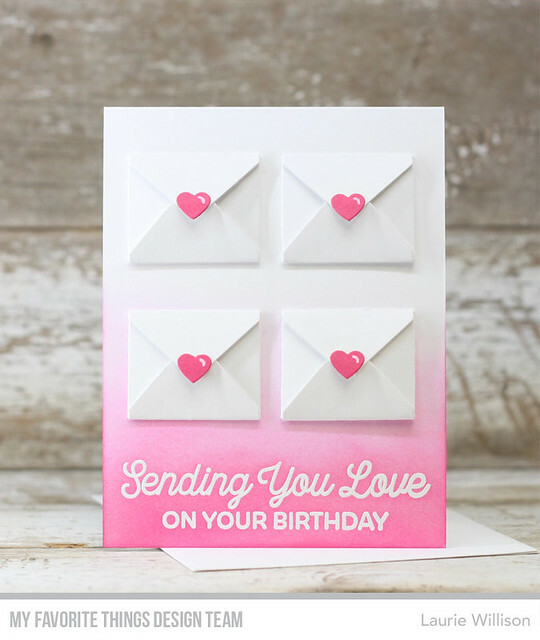 I finished this card off with a pink sentiment and some glossy accents/glitter on the hearts. I hope you have enjoyed my cards for this card kit release. The MFT Blog will have lots of info on how to grab a kit up for yourself! :) Hope you have a great day! Hey there, crafty friends! I am so excited to be a guest over at the Ton Stamps! 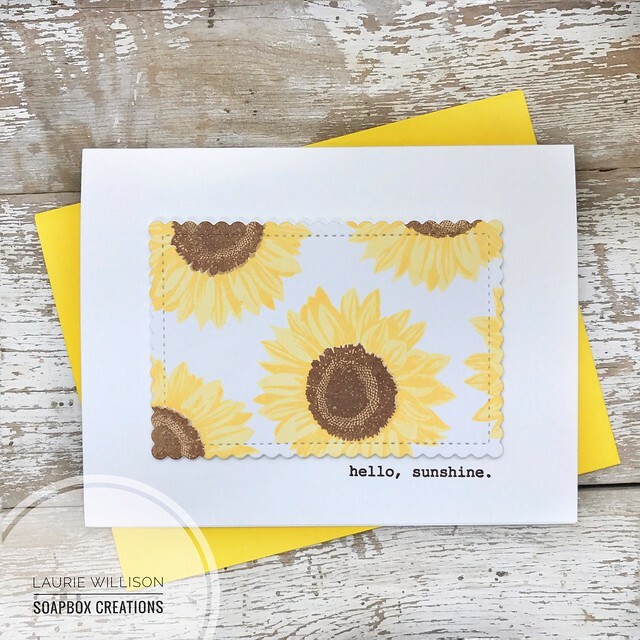 I have a super easy, Kansas inspired card that you can check out over at the Ton Blog. I have a couple other guest posts coming up, so I will be back soon! Thanks so much to Effie for having me! To start off this card, I heat embossed the sentiment along the bottom. I love that big sentiment in this adorable font! After heat embossing, I did some ink blending into an ombre finish on the card base. Next, I added in the envelopes and finished it off with the little heart dies and some white gel pen for a little added detail. I can't wait to get this card in the mail! The MFT blog will have lots more to see. 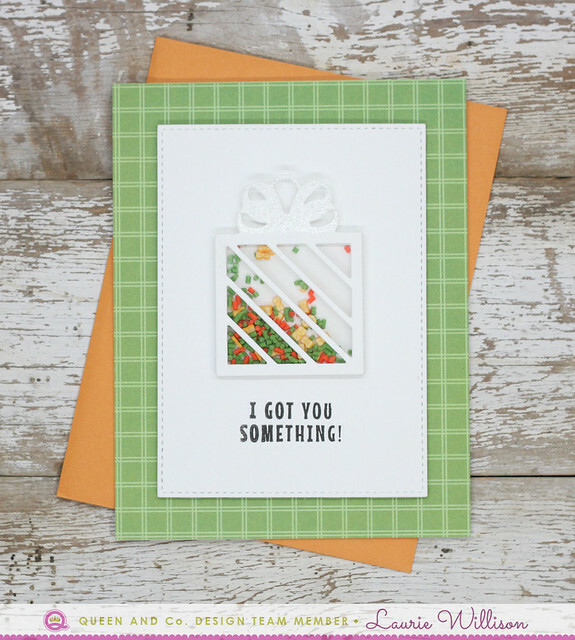 This card kit is a must have for your stash so go check it out! It will be available for purchase tomorrow, June 20th at 8pm CST. So glad you stopped in today! See you tomorrow for release day! 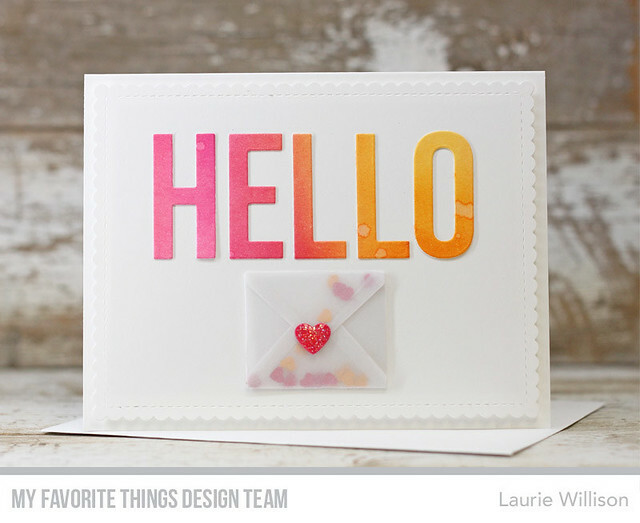 Welcome to the MFT Card Kit Countdown! 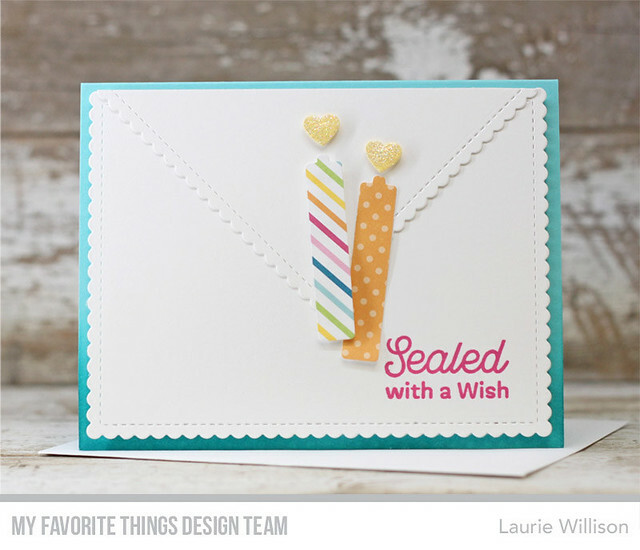 The June Kit is called Birthday Wishes card kit...and I love it!! 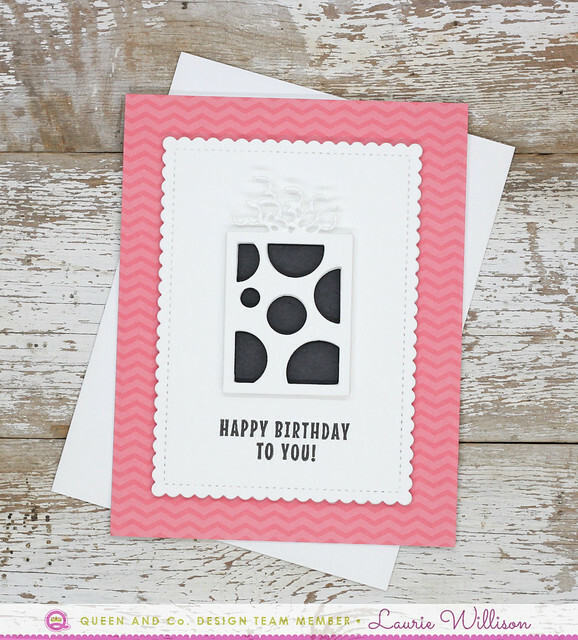 I used the scalloped frame to create the card front. 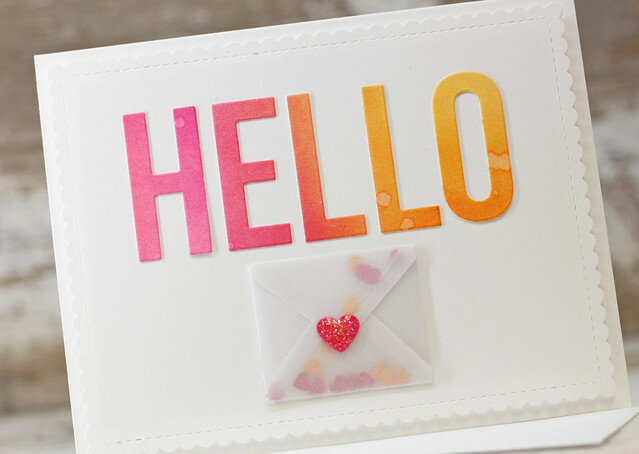 I did a little watercoloring and then die cut the "hello" (not included in the kit). 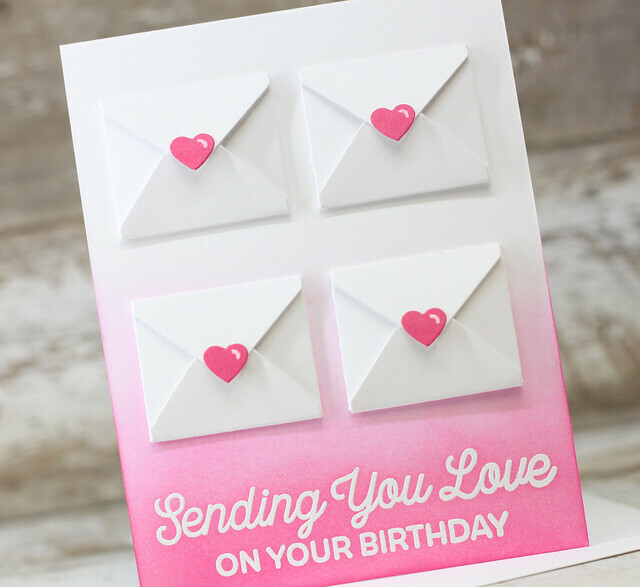 At this point, I pulled out the dies from the kit and created the little heart confetti filled, vellum envelope. I sealed it up and then added the heart die cut, also from the kit dies, and covered it with glossy cents and glitter for some sparkle. Definitely a quick and simple card! And that envelope die from the kit? SO much fun!! 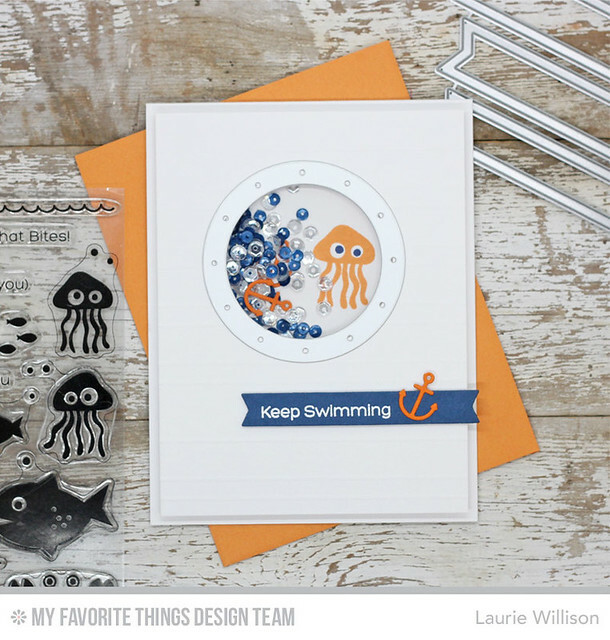 Head on over to the MFT blog to see some more samples with this months kit. I will be back tomorrow with another card. Have a great day! Head over there for the details on how you can play along AND win some some prizes! Thanks so much for stopping in today! Good evening! I am so excited for this months MFT Release. June has lots of fun stuff for us. First, I used that fabulous cloud stencil and the Snow Capped Mountain dies to create the background. 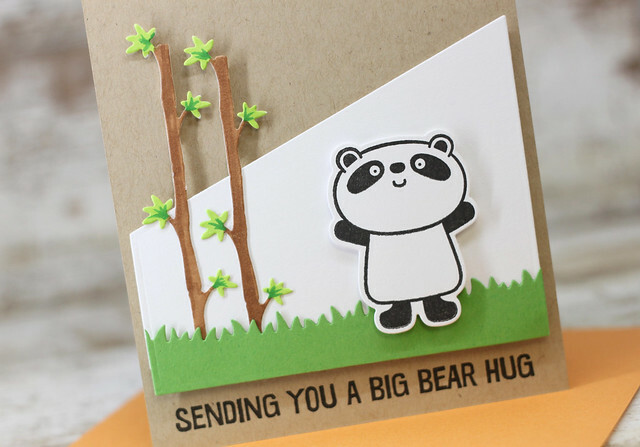 I added in a Grassy Hill die cut along the bottom and added in the sentiment in black ink. Last, I colored up some trees and that adorable bear from the new set and added them into the scene. The MFT blog will have links of lots more to see for this latest release. Head on over there to learn more! Thanks so much for stopping in!